Diesel engines take in quite a bit of air as compared to other types of engines, and if you want your diesel performing at its best, you want to be feeding it a quality airflow. Our Duramax air intakes feature high-quality air filters that improve airflow, while drastically cutting down on contaminants that are reaching the engine. This results in increased performance and a healthier engine. 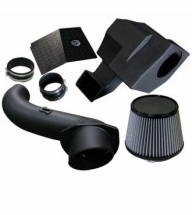 Our high-performance GM Duramax air intakes and filters are the perfect additions for your diesel engine. 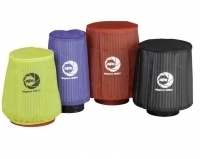 We also carry air filter maintenance kits so you can keep your components in great shape. We stock all of the parts you need, and we we work to ship out your products as soon as you order, so you can get them installed in your truck and be on your way. For most of our orders that come in before 2:00 P.M. EST, we ship out on the same day. We're confident you'll find the Duramax air intakes that fit your specifications. If you have any questions about our product selection or a specific product, give us a call at 724-785-4022, or send us a message, and we'll answer your questions the best we can. Shop for your performance parts today.